Natural ecosystems around the world are being degraded, damaged or destroyed by the conversion of natural habitats into agricultural land, natural resource exploitation and sprawling urban settlements. Consequentially, global biodiversity is declining at a rapid pace. As the global population continues to rise, so does the demand for food and agricultural commodities, which puts pressure on remaining agricultural land. The present study by HFFA Research takes a closer look at the biodiversity impacts of two different agricultural production approaches, namely conventional and organic agricultural production. By comparing both approaches in terms of their yield differences, the study analyses their potential impact on German and global biodiversity. The yield differences between both approaches are considerable and have become more pronounced over time. The area-weighted average of all major arable crops shows that organic farming in Germany results in 51% lower yields compared to conventional farming. A global standard for the measurement of biodiversity is not yet available. Instead, this study uses eight different indicators in order to assess various aspects of biological diversity related to the aforementioned agricultural production approaches. These indicators clearly assign a benefit to organic farming with respect to maintaining biodiversity on managed arable land. At the same time, the indicators show that agricultural production of any kind constitutes an extreme intervention in natural ecosystems, which leads to substantial reductions in biodiversity. In the cases of organic and conventional agriculture in Germany, biodiversity is reduced by 67% and 86%, respectively. These initial benefits associated with organic production are no longer as evident when switching to an efficiency or “per-yield” comparison. Instead, the significant yield advantage of conventional agriculture in Germany results in less biodiversity losses per unit of yield compared to the organic production alternative. On average and across all major arable crops, the study calculates that biodiversity losses can be up to 55% higher for organic agriculture than for highly intensive agricultural systems. Extending this indicator to a global perspective, it becomes evident that shifting effects on international agricultural markets combined with lower domestic yields would result in an expansions of the production and agricultural land use of Germany’s trading partners. Different scenarios are then modelled to quantify the global consequences of increased organic production areas in Germany. Accordingly, an additional area of approximately 815.000 ha is necessary globally in the event of an increase in the share of organic production to 20%. Germany is well integrated into international trade, which means that a substantial amount of these areas would be located in countries with biodiversity levels much higher than generally found in Central Europe. To preserve global biodiversity, the authors call for a more balanced discussion which considers all available production technologies and their externalities. They point out that there is a conflict of interest between meeting the growing global demand for agricultural products and securing the abundance of species and ecosystems on which we all depend. A polarization of the current debate into “ecology” vs. “economy” is not-target oriented and does nothing to solve this conflict. 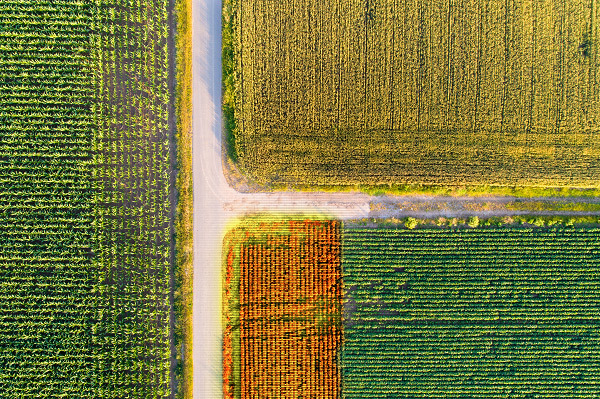 As a way forward, the authors emphasize the value of intensive agriculture as an especially “land-sparing” production approach, particularly for regions with a high productive potential, such as Germany. This approach would be a strong contribution to minimize the trade-off between agricultural supply and food security and the conservation of species. The Executive Summary of this study can be downloaded below (English and German). For access to the full version (English or German), please contact us.